The artistic theme for NYCGB’s 2019 season is ‘Discovery’. Headline commissions are from BBC ‘Dynasties’ soundtrack composer Benji Merrison, to be premiered at the 2019 Snape Proms, and BAFTA Award-winning composer Jessica Curry, to be premiered at the 2019 PRS Foundation New Music Biennial in Hull and London. NYCGB’s first-ever quartet of Young Composers – Lillie Harris, Harry Baker, Joanna Ward and Shruthi Rajasekar – will work with professional mentors and their peers in the National Youth Choir to develop further new music, which will be premiered in concert and recorded for worldwide streaming release by digital partner NMC Recordings. 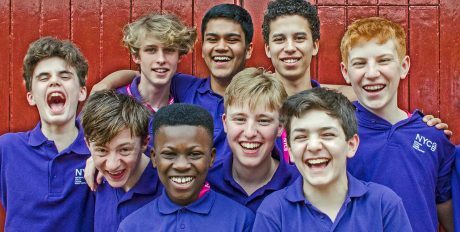 NYCGB choirs will appear nationwide in 2019 with concerts in St George’s Hall, Liverpool, Coventry Cathedral, Nottingham Royal Concert Hall, Reading Town Hall, Sunderland Minster, and as part of the award-winning Rosehill Theatre’s touring programme of performances, ‘On the road’, in West Cumbria. Tickets: £15, £7.50 disabled/companions, 5 U25s. Tickets: £12.50, £6 disabled/companions, 5 U25s.